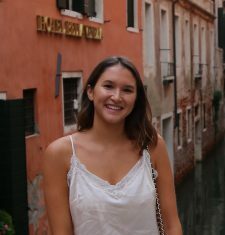 Aisling was raised in the small town of Kennebunkport, Maine and moved to Florida after graduating from Rensselaer Polytechnic Institute with a B.S. in Marketing Communications and Design. After spending a year in digital publishing Aisling realized she wanted to be part of something bigger and chose to pursue that with B the Difference. As the Event and Creative Coordinator, Aisling plans, organizes and manages the trips as part of the B Happy program. Aisling is also in charge of the creation and design of marketing materials and website maintenance. When she’s not working you’ll find Aisling in the kitchen or at the beach.